In this work, Niwa transfers a puddle on a street in Shinjuku, Tokyo to Narahamachi, Futaba district of Fukushima prefecture, a place which was once designated as a restricted area and is within 20 km radius of the Fukushima Daiichi Nuclear Plant that was damaged by the Great East Japan Earthquake. Narahamachi, where all residents were once forced to evacuate, is now enabled to enter after the dissolution of restricted area in the summer of 2012, but even now only a few have returned due to radiation fears combined with devastated infrastructures, leaving the streets empty and covered in weeds. 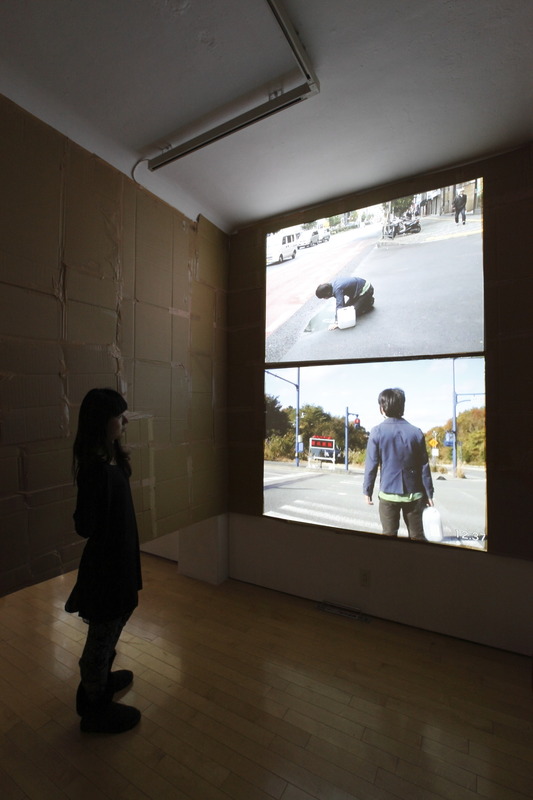 This project started from how Niwa felt as a person who would most likely be relegated as an outsider despite any attempt to engage with these places – maybe the only thing I can do is to transfer a puddle – when questioning how we should confront the reality of such a location not so far from Tokyo. 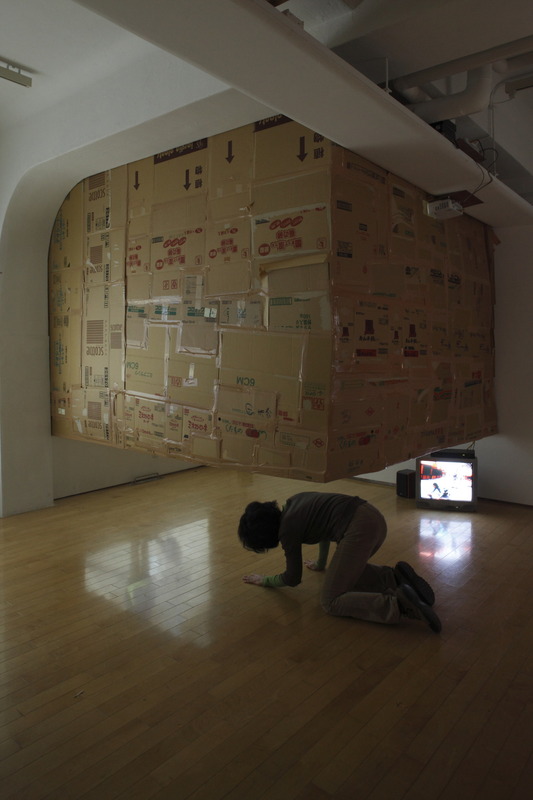 In the presentation of the work, a cube-like structure is created from waste cardboard used for carriage and a 2-channel video installation is set within it. The entrance of the installation is almost covered, leaving just a small slit above the floor that makes it a structure where the viewer must crouch down on the floor, just like the artist does, in order to see the work.